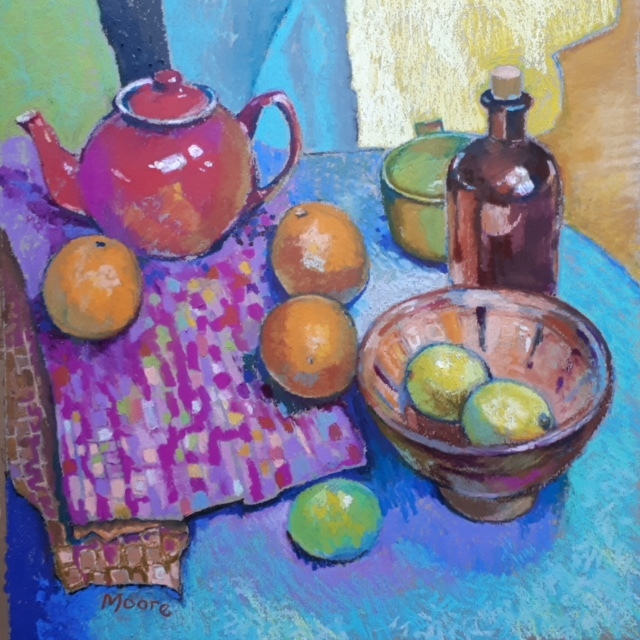 Carol Moore was trained at Glasgow School of Art and the Ecole des Beaux-arts Aix-en Provence. 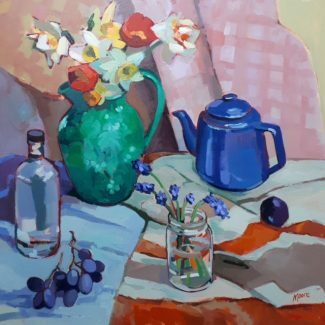 Themes close to home inform her work, still life, food, the landscape surrounding her studio in Balloch. She has exhibited widely throughout Scotland and the UK and in national competitions. 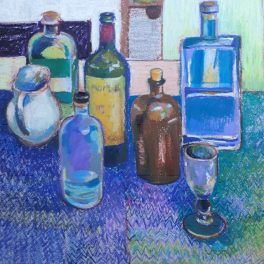 Last year she was awarded the pastel society of Great Britain catalogue second prize at the Mall Galleries London. 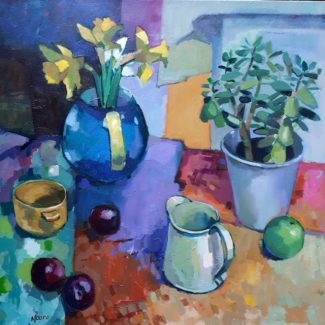 We have been clients of The Green Gallery since Becky first opened in Aberfoyle, and have always found her to have an unerring eye for works of real distinction. 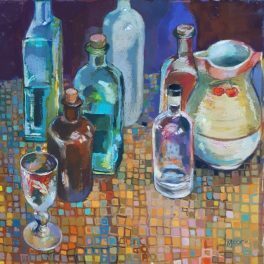 Her exhibitions combine the best of contemporary art and design with an imaginative range of quality gifts. The Green Gallery never fails to surprise and delight.